Bristol Optical Students Society makes first industry visit to Gooch & Housego, Torquay. 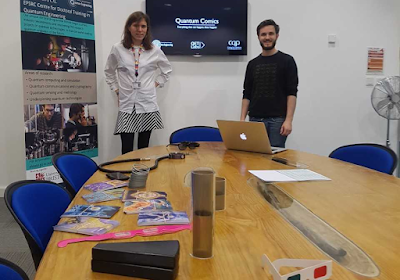 On Tuesday 29th November, Bristol Optical Student’s Society, a.k.a BOSS, held its first ever industry excursion, bussing a mix of 11 students and post-docs down to Gooch & Housego’s Torquay site. Leading the world in high-quality optics manufacturing, the UK-based G&H has supplied the technology that underpins the foundations of our modern networked world. Having recently expanded their Torquay facility as well as being awarded the Queen’s Award for Enterprise for their highly successful Fiber-Q device, BOSS was keen to head down to the Devonshire coast to find out the secret to their success. The visit started with an overview of the historical and current state of the company, before a tour of the company’s manufacturing facilities. From the hand-fabrication of precision fused-fibre waveguides, to the assembly of bespoke optics modules, the tour visited each stage of the company’s manufacturing process, exhibiting the large variety of optical systems they produce. After lunch was generously provided, the day was concluded with an informal networking session with members of G&H’s staff and management. 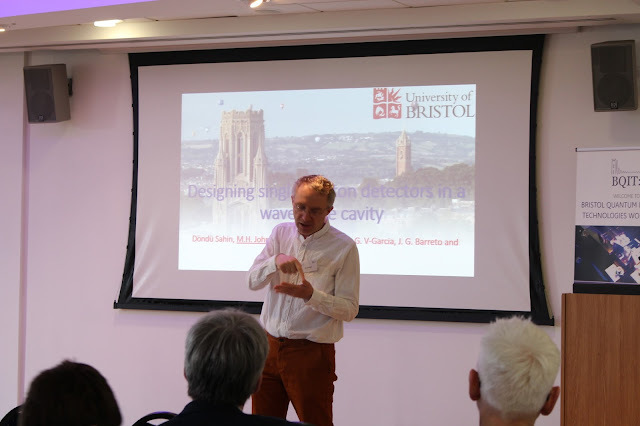 Discussing everything from business strategies to commercial quantum computation, this session allowed the visitors to discuss their personal interests in the industry, as well as giving G&H an opportunity to ask quantum engineering researchers about current research and the future of their field. Bristol Optical Students Society would like to thank all of Gooch & Housego Torquay for a great day, especially Tom Legg for helping organise the visit. 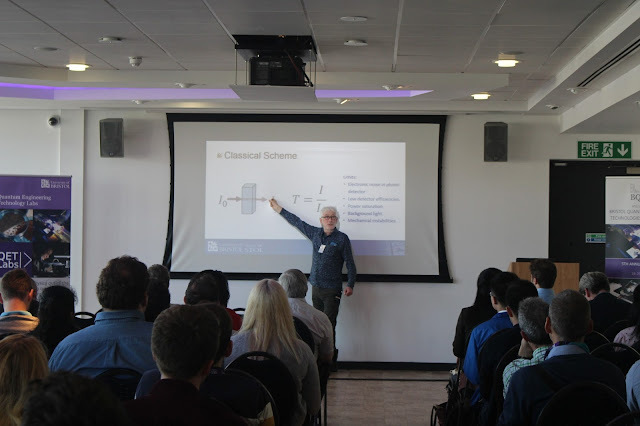 If you are interested in joining BOSS and finding out about the many academic, professional and extracurricular opportunities available (for free) to BOSS members, please email BOSS.Bristol.OSA@gmail.com or like our Facebook page at https://www.facebook.com/lightisboss/.